Already qualified for the 1/8-finals, Schalke 04 hosts Lokomotiv Moscow in a match from the last 6th round of the Champions League group stage. This is a game from Group D of the competition. How we said, Schalke already reached the nex phase of the competition. The German team is 2nd in the group with 8 points won so far and 4 points advantage in front of the 3rd Galatasaray. The Royal Blues can’t beat Porto for the first place, but finishing 2nd is also good enough for progression. In 5 games so far in this group, Schalke won twice, made two draws and suffered one defeat. In their last game they suffered their only loss in the group, losing with 1-3 against Porto at the Estadio Do Dragao. Nabil Bentaleb scored for the Germans from a penalty kick, but the Dragons took the win with goals from Eder Militao, Jesus Corona and Marega. They were just better. In the Bundesliga Schalke are not doing very well so far, but the club’s fans will be very happy with the qualification for the 1/8-finals of the Champions League. Lokomotiv Moscow on the other hand are fighting for the third place and the right to progress to Europa League. Right now the Russians are 4th in the group with 3 points, but being on just one point behind the 3rd Galatasaray. So, they still have a chance for the 3rd place. In their last game Lokomotiv beat Galatasaray with 2-0 in the Russian capital. Galatasaray’s Ryan Donk scored himself an own goal, while Vladislav Ignatyev scored a second goal for Lokomotiv. It was a very important game for both teams. 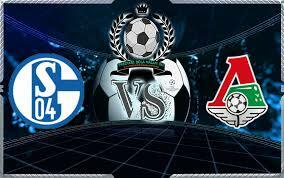 These are our thoughts about the Champions League clash between Schalke 04 and Lokomotiv Moscow in Gelsenkirchen. Good luck!